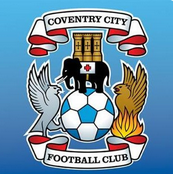 Discussion in 'Coventry City General Chat' started by Nick, Apr 3, 2018. 0-2. More doom and gloom on here. I think after yesterday they'll really be fired up for this, 2-1 to the Sky Blues. 3-1 defeat, Biamou with a screamer for us. Other results to all go against us as well to leave us playing catchup. Last really big game was Accrington and we failed miserably. I think this will probably be a draw. Both teams will probably lacking in confidence. Probably a 0-0 on the cards. We need to score first this game. Probably 4-4-2 again because it’s away. Biamou, Davies (if fit) and maybe Stokes to come in. Only concern is I think Bayliss looked tired and may need a game out. I'm going with a 2-1 win and all back on track! Londonccfcfan and ccfchoi87 like this. Away win for me, 2-0. Their confidence will be much lower than ours. Start the game very Solid, snuff out their threats, Doyle and Kelly to sit deep to win 2nd balls. Id be happy with a Point. Still have that game in hand on Notts. We wont lose too much ground. Its a game we just cannot lose. JCH to come on for Reid. 1-1 draw here. Score early then just sit back whilst they batter us for the remainder of the game. Instead of trying to kill the game off. Astute, Earlsdon_Skyblue1, ccfcrob and 1 other person like this. I'm sorry, but I am still in the mental recovery period from the debacle Monday to give my opinion on this game. Does anyone know how long it will take me to recover from a 6-2 home defeat to Yeovil, some are saying on the Samaritans website that i joined Monday night that it could be two or three months and could even affect my summer holiday in late July. Sky Blue Pete and wingy like this. Whilst our (team and fans) confidence is at a particularly low point after yesterday, so will Notts County's. Their fixtures have been tougher than ours granted, but they've not won in 4 games. They will be as nervous as we are, and if their fans are anything like ours, there will be a toxic atmosphere and they will be turned on if it doesn't go their way. I guess a draw is okay, but it will most certainly leave us outside the playoffs, unless Mansfield fail to beat Crewe at home. I thought Crewe were a nice little football team, they’ve had some good results, but are inconsistent. I can see them getting a result at Mansfield. Time for us to fight back. Hmm. Thing is, they got safe and since then they have played two games against two of the worst teams in the division, Barnet and Port Vale and only got a draw and a defeat. Not sure we can bank on them anymore. It's about now that safe teams can have one foot on the beach. Cov kid 55 likes this. I honestly think it has defeat written all over it. Valiant effort and some pride restored, but falling short. Will be delighted if we get something from the game. Can't see us getting anything out of this. Our confidence will be shot. Biamou scored in the last game because he was under no pressure; there will be lots of pressure in this game. Yep. Pressure now heaped upon us. It's a game we can ill afford to lose and even a draw will have meant a return of just 2 points from 3 games. Fingers crossed we can get something from the game, but I feel we are going to be left disappointed. Come on. Give the guy some credit, he’s been out of the team has come back in off the bench did well and is now adding goals to his game. Maybe a bit later than some fans expected/wanted but he’s definitely improved. Astute and Cov kid 55 like this. The ''no pressure" argument some are using to try to discredit Max makes me chuckle. Desperate stuff. There was plenty of pressure hence how chances were being snatched at left, right and centre by others. We were desperately chasing a must win fixture. His goal at Newport was taken brilliantly, and there was heaps of pressure, it was possibly the last opportunity we were going to get to come away from the game with anything. Confidence is everything, and he (hopefully) has turned the corner adding goals to his all round game. Astute, Otis and Cov kid 55 like this.